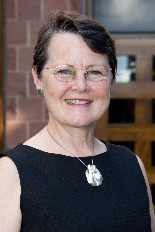 July 2015 - Since winning the prize, Catherine has served a term as Governor for Heritage Canada, now the National Trust for Canada. She is also President of the Architectural Conservancy of Ontario (A.C.O) provincial, and A.C.O Toronto. The Conservancy is about to launch a huge new website with the history of over 7000 Toronto properties, and with space for individuals to add listings as research is done. The database began as T.O. Built, and they are adding additional features. The hope is that creating this central reference database will help everyone researching Toronto properties, and lead to much wider conservation of our existing building stock. Catherine's other main thrust has been delivering a lecture, which she hopes to turn into a book entitled "Main Street as Old Growth Forest." This is a copy of John Sewell's remarks introducing Catherine Nasmith at the 2010 Jane Jacobs Prize Ceremony on September 14, 2010. Cathy Nasmith says she first met me in early 1978, when as a city councillor I was leading a campaign to protect the Don Jail. The Jail was despised because of the awful things that had happened inside it, and it awaited the same fate as 999 Queen Street, the old Mental Asylum, which had been demolished for the same reasons in spite of compelling architectural beauty and strength. We managed to save the Jail, now being restored as part of a controversial new hospital project, but I lost sight of Cathy as she entered the world of being an employee of architecture firms. But then we met again as we shared the belief that we could influence City Hall by devising better rules to encourage Main Streets redevelopment which enhanced retail strips and protected existing structures. Our energies fell on deaf ears. Then, in the late 1990s, after she had moved downtown to the Bathurst and King area, she learned of a plan to build an extension of Front Street right on top of Fort York, the same fort the Americans burned down when they captured the Town of York in 1812. As that issue was being discussed, there was thought about what to do about the Gardiner Expressway and Cathy was appointed by City Hall as the co-chair of the Gardiner Lakeshore Task Force. This was a wildly divisive issue, but of course Cathy found a way to move ahead. She agreed that the place to start was tearing down the section of the Gardiner east of the Don River. By bringing people inside and outside of City Hall together to move the project forward, she created enough of a consensus to get City Hall approval. That demolition happened so long ago that, were it not for the remnants of the old ramps that have been carefully preserved near Leslie Street, few would remember that this section of the elevated road had ever existed. Once again, Cathy earned her mark as a great city builder. Her determination and optimism bore fruit. For the last decade her energy has been directed to protecting our built heritage. In the 1990s she was connected with a distant relative, Sir James Dunbar Nasmith, a leading architect in Scotland with a reputation for enhancing existing structures and creating great performance spaces. Sir James introduced her to a program in Edinburgh where one or two days a year the public was given free entry into fine old buildings, both public and private, in order to admire and appreciate them. She arranged for half a dozen people from Toronto, including several city staff, to go to Scotland to see for themselves. They were dazzled. The result was the first Doors Open program in Toronto in 2000, which had four or five dozen buildings in Toronto open to all Torontonians the last weekend in May. It was such a successful program that it has become an annual event ever since. It has been adopted by many municipalities in Ontario, across Canada as well as copied in New York City. She has been involved in working to save many buildings, and has retained her optimism even when the authorities are unsympathetic - as they were with her important campaign to protect the views of the Legislative Building at Queen's Park. She has worked hard with communities to establish heritage districts. She is an outstanding architect - a fine designer, one of those rare professionals who understand the nuts and bolts of building, a lover of the modern as well as the heritage, and she has gained awards for her skills at architectural restoration and interpretation. One of her most high profile heritage fights was the campaign waged with Margie Zeidler to save the Concourse Building on Adelaide Street West - and the building its still here. Out of that work, as a communication strategy to create pressure to amend the Ontario Heritage Act so municipalities could stop the demolition of designated buildings, Built Heritage News was born. A free on-line news bulletin, Built Heritage News has been published with consistent regularity since then, bringing a wider array of information to an even wider audience in Ontario and across Canada. Its finest moment was a call to pack the gallery of the Legislative Assembly to watch the debate of the amended Heritage Act. In the face of such support the lingering opposition evaporated. Cathy's story proves the point: never underestimate the power of one smart, energetic, and determined person who thinks the best of people, searches out their good qualities, and then has the ability to bring them together for a common cause. Jane Jacobs justly admired people like Cathy as we do too. Thanks Cathy for your energy and determination, and the innovative spirit you bring to complicated issues in our public lives.